Martin Turner - founding original member of Wishbone Ash and lead vocalist, bassist and key creative force on iconic album releases such as 'Argus', 'Pilgrimage', 'There's the Rub' and 'New England' - returns with this long-awaited studio collection of new compositions. 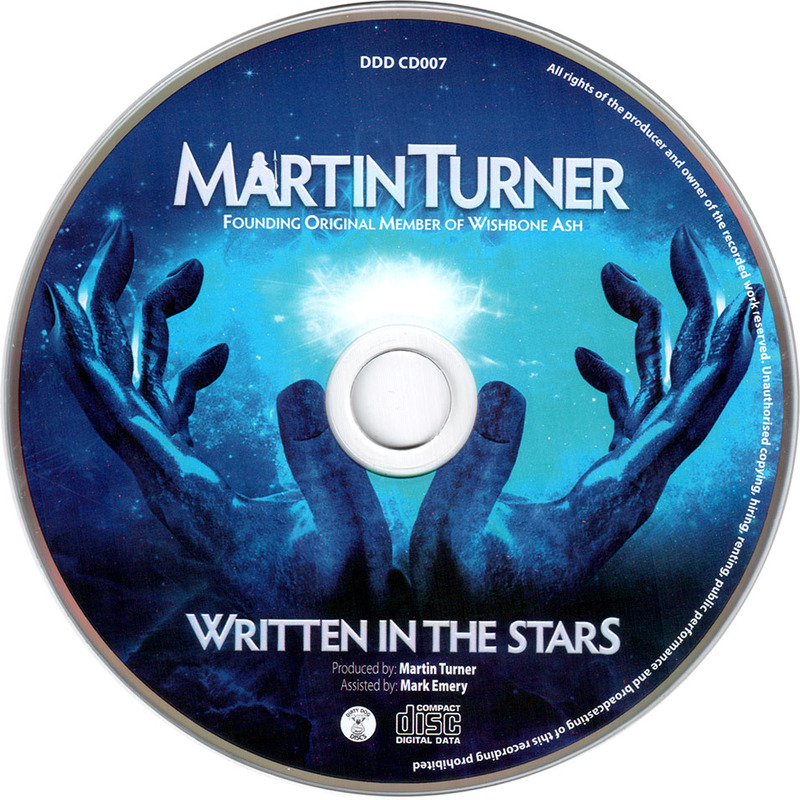 Written and recorded with Turner's touring musicians and other collaborators, 'Written in the Stars' follows a critically acclaimed period of worldwide live activity. Turner's present live band consists of Danny Willson (guitar/vocals), Misha Nikolic (guitar/vocals) and Tim Brown (drums/vocals). 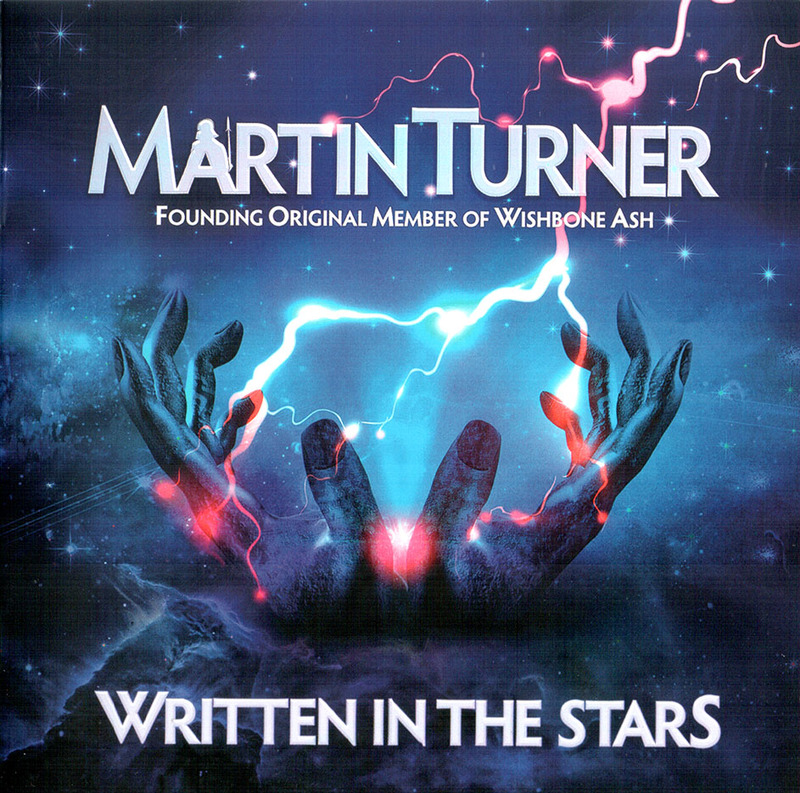 Turner describes this new album as "a guitar-based set of songs which represents an extension of the Wishbone Ash legacy, with an emphasis on the melodic qualities that the classic line-ups of the band were known for". A founding member of Wishbone Ash, Martin Turner solo album is called Written In The Stars. As lead vocalist, bassist and songwriter on classic album releases such as Argus, Pilgrimage, and Wishbone Four (to name just a few of classic Ash albums), Turner’s bass playing, singing and songwriting were key to Wishbone Ash’s success and he shows more of that classic acumen on this 11-song collection he calls a ‘theme’ album. 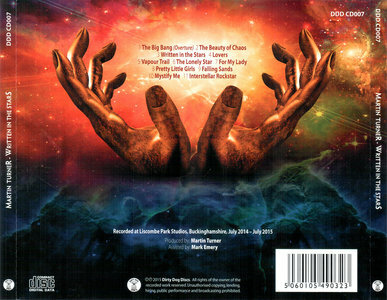 A spacey “The Big Bang (Overture)” begins with its far-off sweeps of synths and electric guitar noodling, flowing into the big prog instrumental “The Beauty Of Chaos,” a song with an almost surfer guitar sound sharing time with spiky guitar-slicing choruses. It’s a pretty neat mix, with Turner’s simple bass lines prominent bridging each of the two parts together. “Lovers” floats with an easy sway of acoustic guitar line and a simple, snapping snare. Easy on the ears, the song’s lyric does align with the cosmic theme of the album with Turner’s vocal, choruses and even a George Harrison-like slide at its tail. “Vapour Trails” certainly mines that Wishbone Ash vibe. An acoustic guitar begins under the Turner’s vocal. His high-tuned bass gives way to that classic Wishbone Ash double guitar lead sound. The instrumental “The Lonely Star” has a distinctive riff, swift snare beat, and subtle bass playing from Turner, truly making the tune a stand out. There’s double guitar trilling to wailing wha-wha guitar, whispered lyrical lines and almost-out-of-hearing-range single notes. “Pretty Little Girls” gets some heavy drum snare snapping with Turner’s rumbling bass, his straightforward vocal and distorted guitar flicks. There’s a harmony vocal to the chorus, almost chant-like that makes this another solid and simple rock track. A classical guitar opens the last tune, “Interstellar Rockstar,” a closing lament with high synth strings and Turner’s pleading vocal summing up the whole story. 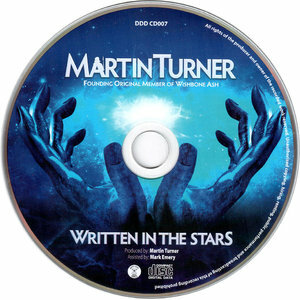 Written In The Stars has got a sound you will know well from Martin Turner’s past, working well here in our cosmic 21st century.